Japanese Make-up brand has been a pioneer in skin care and also decorative one, so there's no doubt to try one product to prove them right. 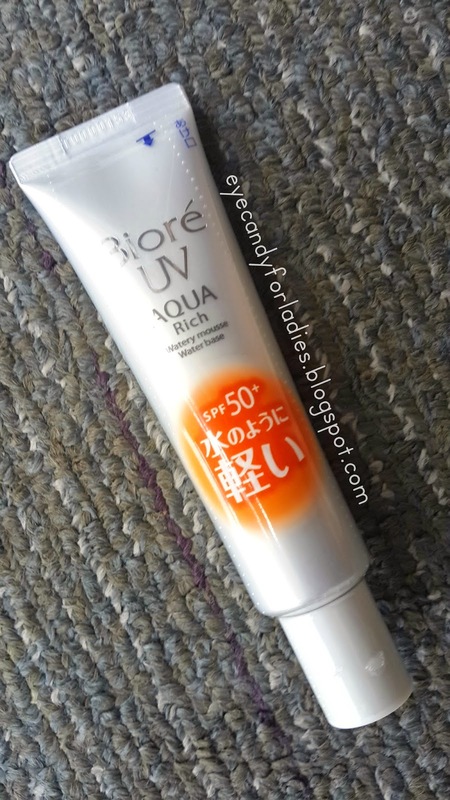 So, when Biore Japan moisturizer finally distributed in Indonesia, I don't mind to have one. 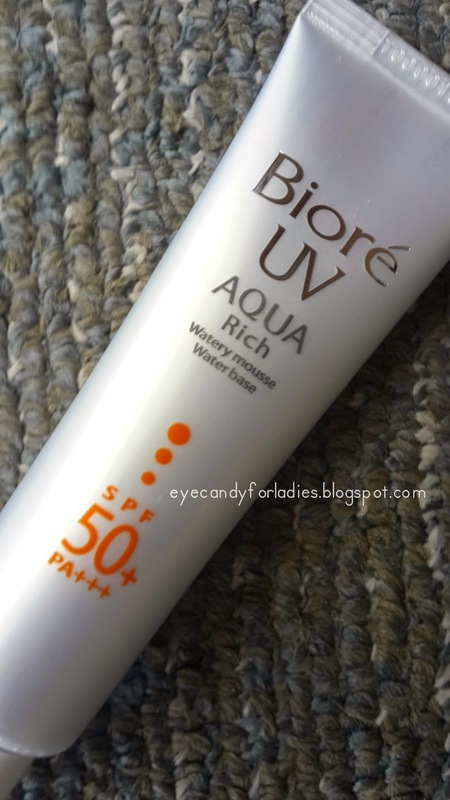 First impression of Biore SKIN AQUA Rich Watery Mousse Water Base SPF 50+ / PA +++ is : it has a holy high (SPF 50+) formula. 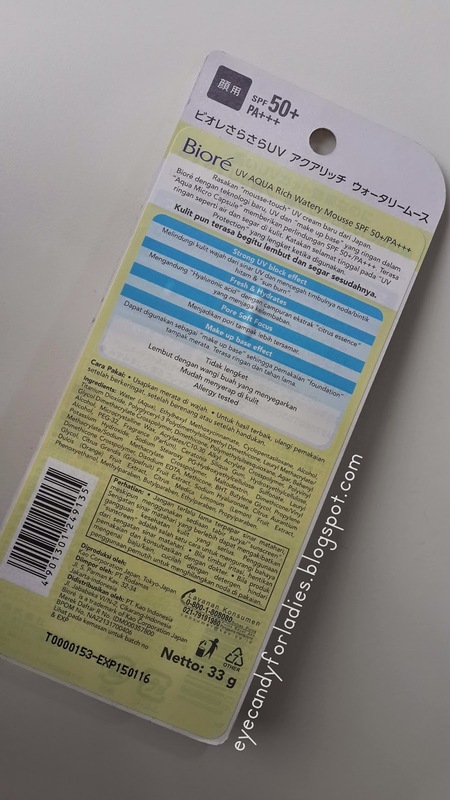 Unlike Indonesian skin care series which is ranged from SPF 15-25+ formula in it, Japanese confidently stay at ground with high level SPF 50+. 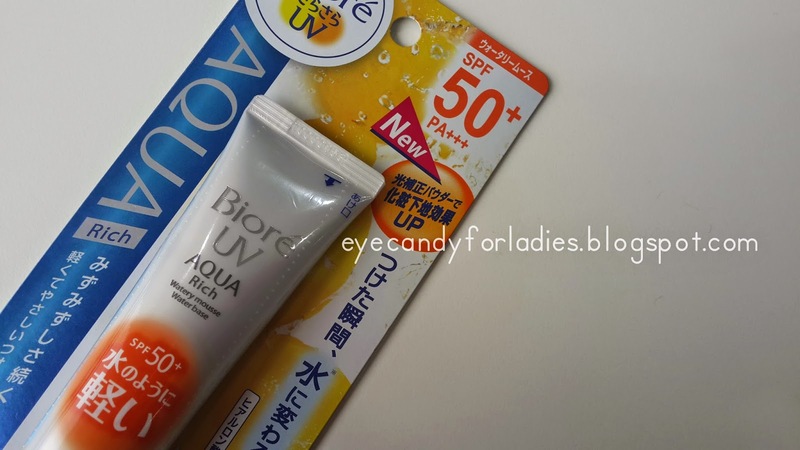 Asian brands, particularly Japanese ones, tend to use The Protection Grade of UVA (PA) system to measure the UVA protection a sunscreen provides. The PA system is based on the PPD reaction and is now widely adopted on the labels of sunscreens. 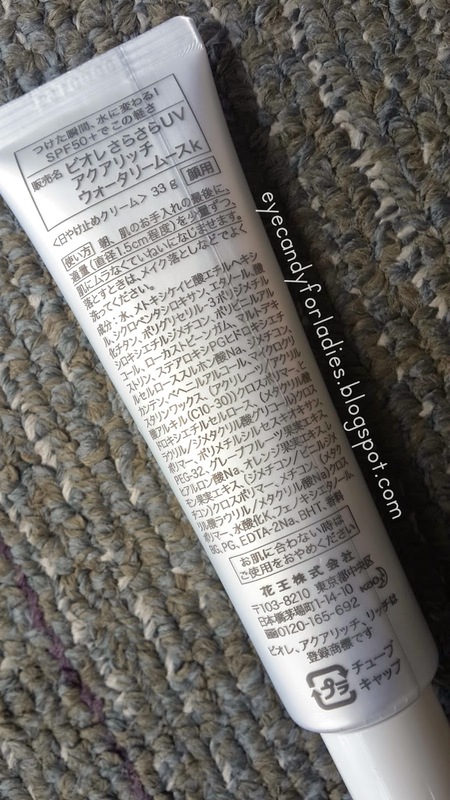 According to the Japan Cosmetic Industry Association, PA+ corresponds to a UVA protection factor between two and four, PA++ between four and eight, and PA+++ more than eight. So, the higher SPF formula applied onto the skin, the less risk to obtain skin cancer caused by the UV ray radiation. Further more, sunscreen also helps to prevent wrinkles, sagging and dark spots in the skin caused by the UV ray. 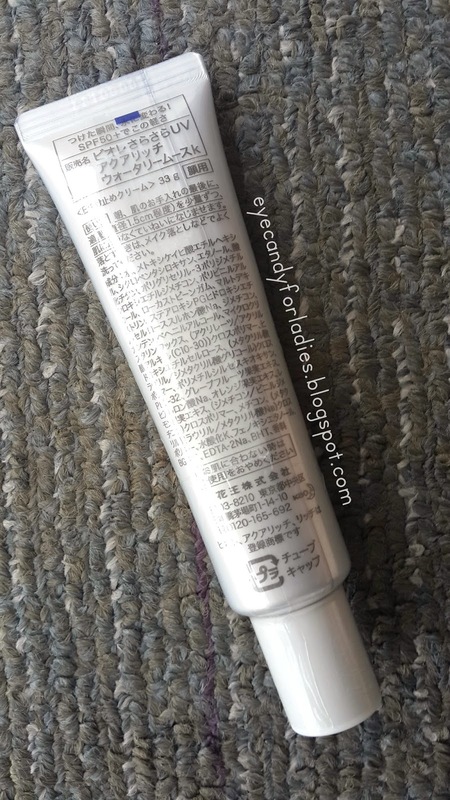 In addition, Japanese ladies are keen with their skin's appearance and condition thus product with higher-level of SPF is always on-the-go and best seller. More post of Japanese's beauty will be reviewed soon, so please stay tune. 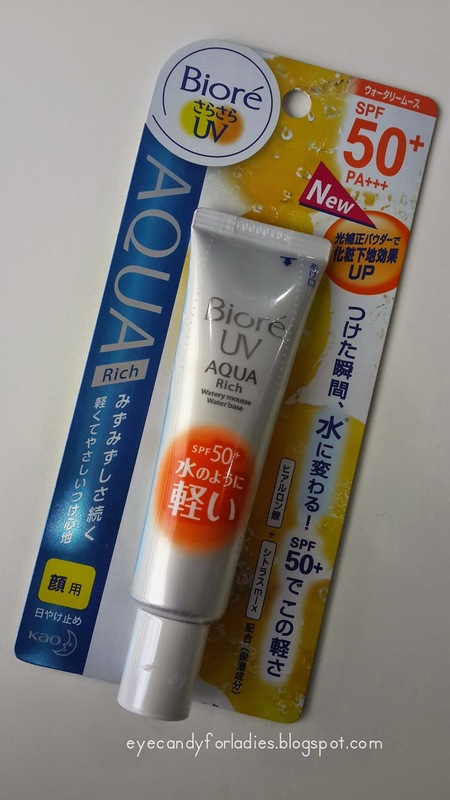 Biore SKIN AQUA Rich: Watery Mousse Water Base SPF 50+ recently been distributed in Indonesia at several drugstores franchise and costs around IDR 100k plus. 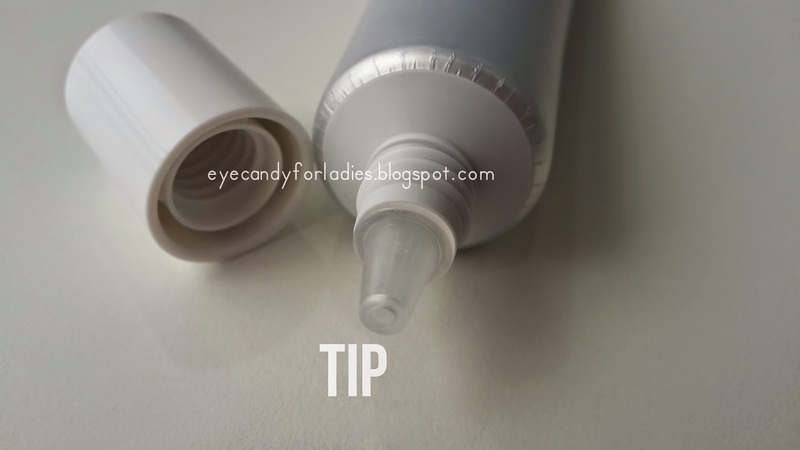 It is packaged in a plastic tube with a pointy tip and made from a lacquered plastic. Nett for 33 gr and travel friendly; but that's not its prominent point. 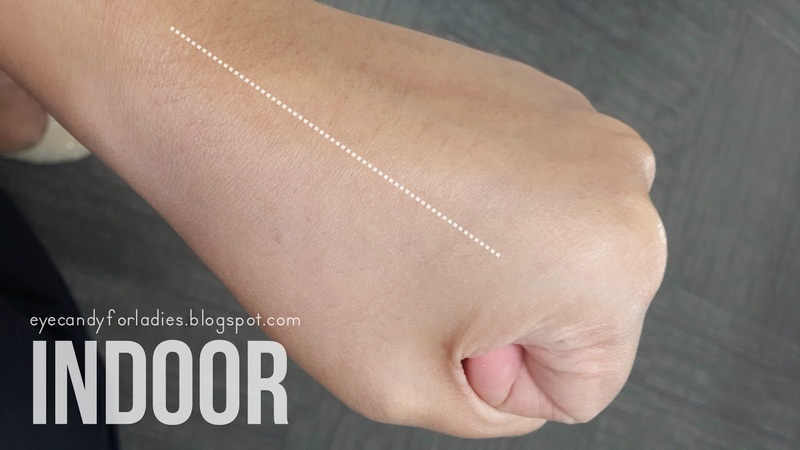 The product works well with its high level sunscreen formula to protect the skin from UV ray and prevent dark-spot and 'sun burn' that could appear in the skin. Improved with Hyaluronic Acid to hydrates the skin's condition and Citrus essence to maintain skin's moisture. 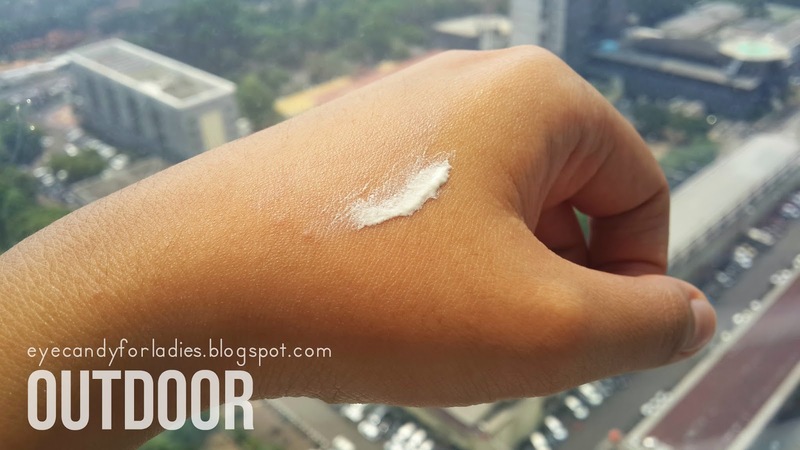 No wonder the cream spoiled you with a fresh and subtle citrus-y fragrant not like any other sunscreen product. 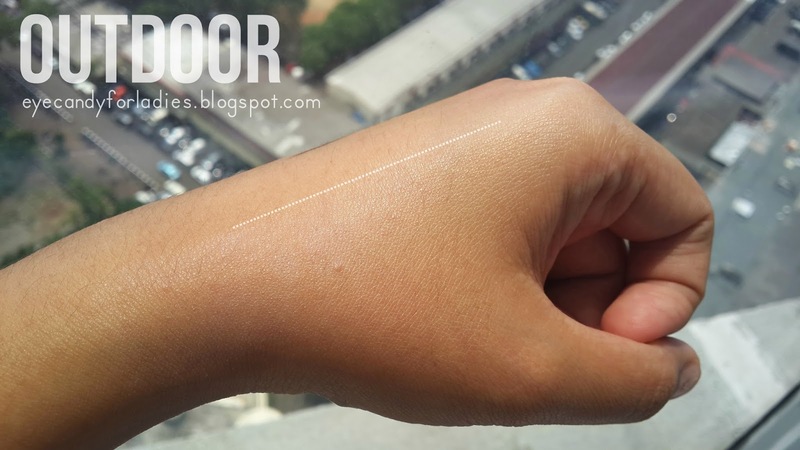 However, the make-up base effect actually caught my heart; the sunscreen cream finely gives a velvety make-up base. 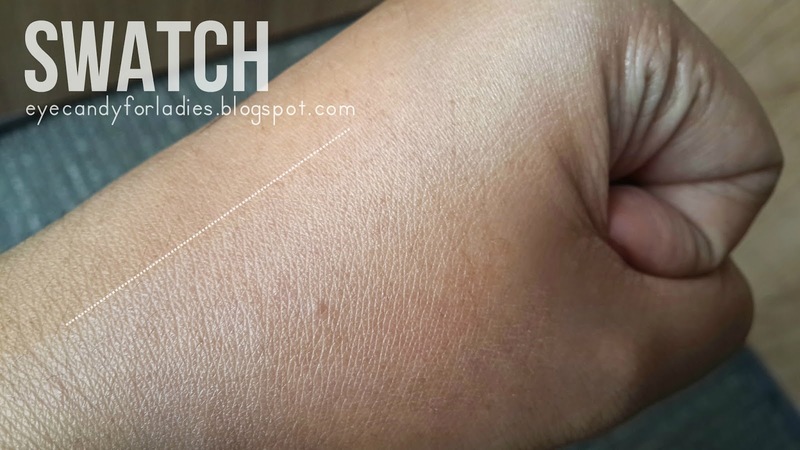 It gives a bit powdery-chalky finish and successfully covers skin's pore plus gives a long last light-weight feeling. Allergy tested and easily absorbs into the skin. 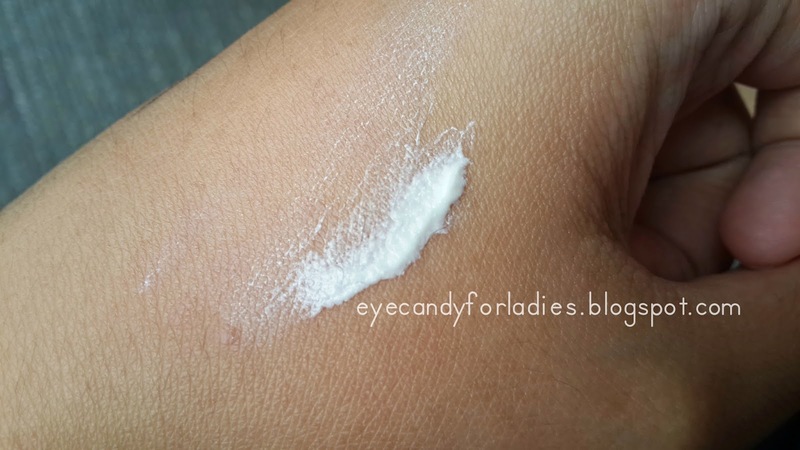 The cream is creamy with a bit of mousse texture; so tbh it is not a mousse texture at all. The pointy tip is also helpful to measure the amount of required cream. 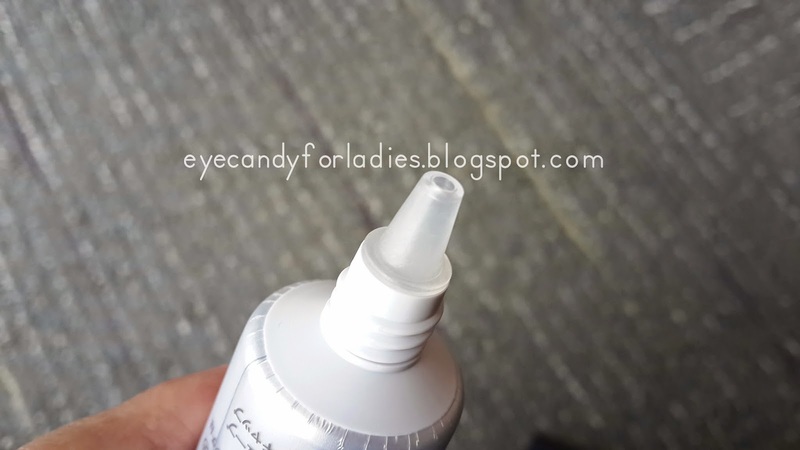 The only problem so far that it's a bit hard to squeeze the product out from the tube. 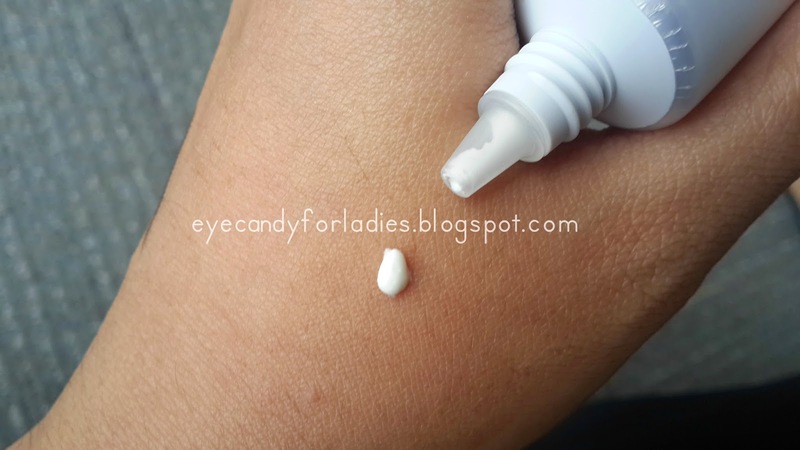 Due to the texture of the cream so pea-sized cream is enough to cover allover face.